During Asia Week New York last week, S.H. Raza’s “Village with Church” unfortunately took no bidders at Sotheby’s auction. The painting, which was surrounded by a lot hype and excitement, was estimated to sell for $2.5 million (Rs.12.5 crore). The painting came from the personal collection of the late John D. and Blanchette Rockefeller III. Despite this disappointment in the art market, Raza’s career and art have followed an interesting path and deserve mention to Art Disher’s. Village with Church, S.H. Raza, 1958. S.H. Raza is an Indian-born painter who has lived in France for years. His work has focused on expressionistic and geometric interpretations of landscapes, as well as purely geometric forms. 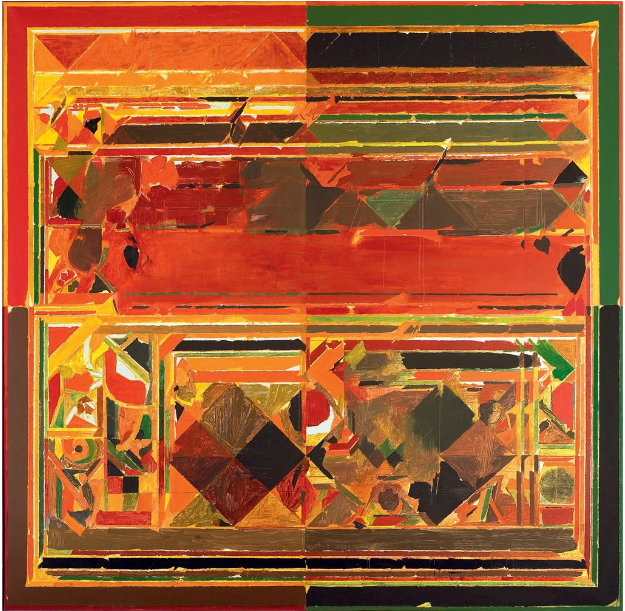 In 2010, Raza’s painting Saurashtra (1983), which depicts the Gujarati coastal landscape, garnered Rs 16.3 crore ($3.49 million) at a Christie’s auction in London. This purchase set a record and made Raza one of the most expensive contemporary artists. 2. 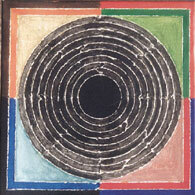 Along with his landscapes, Raza is also known for his “Bindu” paintings. 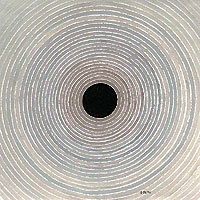 The Bindu is a dot that represents the center of creation and existence and also has ties to his artwork. Shanti Bindu, S.H. Raza, 2006.